The modern Irish Republic celebrates its first 100 years 2016. What better time to to hear from the first Irish female ambassador to Washington. 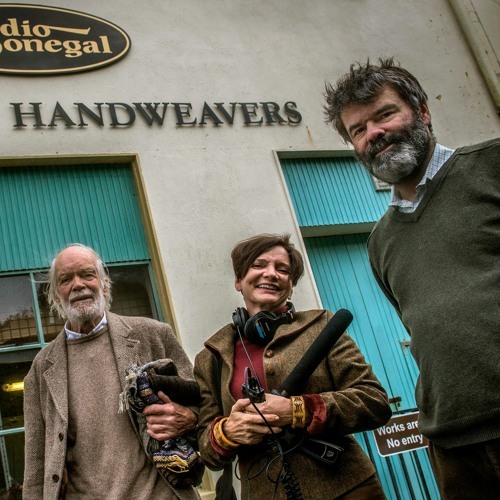 Plus, a Donegal Tweed handspinner, a Connemara wedding designer & an Irishwoman whose knitting needles stared a national business in America. Music used in this episode: Atlan - The Cat That Ate the Candle Slainte - Kesh Jig, Leitrim Fancy The Poozies - Crooked Road to Dublin The Poozies - Mr. Grapes Niamh Parsons - Katie Campell Meisce - Sean Reilly live at KEXP Write us at info@theseams.org. Thanks for listening! The Seams is produced by Katie McAuliffe. Our show is edited by Kitty Eisele with production help from Ramona Martinez, Elaine Heinzman and Georgi Goldstein. great! made me wish to be Irish...or at least go online to find an Irish designer!